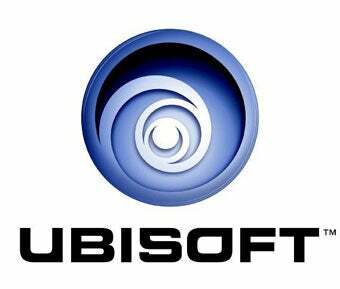 Reporting its full first-half 2009-10 financial results today, Ubisoft stresses its confidence in franchise titles like Assassin's Creed II, while some of its Wii titles continue to under-perform. Much like the company's sales results call earlier this month, today's Ubisoft earnings call was all about the big-name franchises in the company's lineup. Along with mentions of upcoming games Splinter Cell: Conviction and James Cameron's Avatar: The Game, the strong early performance of Assassin's Creed II was a point brought up time and time again by CEO Yves Guillemot. "First week sales of Assassin's Creed II, up 32%, with positive initial indications for the second week, combined with an overwhelmingly warm reception from gamers, validates our strategy of developing bigger franchises." If fact, Guillemot even uses AC2 to soften the blow of the mixed performance of Ubisoft's Wii lineup. "Based on this initial data, Assassin's Creed 2 looks well positioned to outstrip targets while our Wii games have got off to a more contrasted start in a less predictable market. Finally, sales of James Cameron's Avatar : The Game should benefit from the launch of the movie which is expected to be the biggest blockbuster of this holiday season." Despite the fact that Wii games made up 22% of Ubisoft's sales during the first half, Guillemot continuously referenced the console in regards to underperforming titles throughout the investor conference call that accompanied the announcement. ""We have some Wii games performing inline, with some underperforming," Yves explained, noting that, ""We're still facing a challenging environment with uncertainties on the Wii." Overall, the financials were down all around, with a large drop in sales and an operating loss of €78 million, mainly due to mixed Wii and DS game performance and a lighter release schedule. Update: This post has been updated to more accurately reflect the information presented in Ubisoft's earnings call.